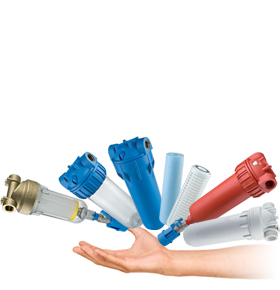 Water filters and filter housings: the best housings for all types of filter cartridges, many solutions available to you. Ideal, for the point of use and point of entry, perfect for water treatment in technical and industrial applications. Combine the housing with the most suitable cartridge among those offered within our range, and obtain all of the benefits of the Atlas Filtri quality.